Dr. Aaron is a respirologist with special research and clinical interests in chronic obstructive pulmonary disease (COPD), asthma and cystic fibrosis (CF). Dr. Aaron's research has been focused on investigating acute pulmonary exacerbations of these diseases, with a specific interest in the critical assessment of interventions designed to prevent exacerbations and improve the diagnosis and treatment of exacerbations of COPD and CF. His other major interest is health services research related to the correct diagnosis and treatment of obstructive lung diseases in Canadian communities. Dr. Aaron is Principal Investigator and Director of The Canadian Respiratory Research Network, a CIHR Emerging Research Network whose goal is to bring together researchers across disciplines to work together in a coordinated fashion in order to improve understanding of the origins and progression of chronic airway diseases in Canada. Dr. Shawn Aaron is a Professor at The University of Ottawa and a Senior Scientist at the Ottawa Hospital Research Institute. Dr. Aaron received his M.D.C.M. from McGill University, then trained in internal medicine, respiratory medicine, and critical care medicine at The University of Toronto. He joined the Department of Medicine in Ottawa in 1996 and obtained his MSc degree in epidemiology from the University of Ottawa in 1999. 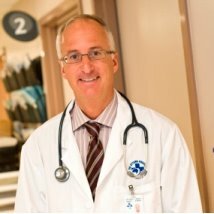 Dr. Aaron is Director of The Division of Respirology at The Ottawa Hospital and The University of Ottawa. 140 career peer-reviewed research publications. 69 in the past 5 years. Aaron SD, Vandemheen K, FitzGerald JM, et al. Reevaluation of Diagnosis in Adults with Physician-Diagnosed Asthma. JAMA 317(3):269-279, 2017. Aaron SD, Vandemheen KL, Ramotar K, et al. Infection with transmissible strains of Pseudomonas aeruginosa and clinical outcomes in adults with cystic fibrosis. JAMA 304 (19): 2145-2153, 2010. Aaron SD, Vandemheen K, Boulet LP, et al. Over-diagnosis of asthma in obese and non-obese adults. CMAJ 179(11): 1121-1131, 2008. Aaron SD, Vandemheen KL, Fergusson D, Maltais F, Bourbeau J, Goldstein R, et al. Tiotropium in combination with placebo, salmeterol or fluticasone/salmeterol for treatment of chronic obstructive pulmonary disease: A randomized trial. Annals of Internal Medicine 146 (8):545-555, 2007. Aaron SD, Vandemheen KL, Ferris W, Fergusson D, Tullis E, Haase D, Berthiaume Y, Brown N, Wilcox P, Yozghatlian V, Bye P, Bell S, Chan F, Rose B, Jeanneret A, Stephenson A, Noseworthy M, Freitag A, Paterson N, Doucette S, Harbour C, Ruel M, MacDonald M. Combination Antibiotic Susceptibility Testing to Treat Exacerbations of Cystic Fibrosis Associated with Multi-Resistant Bacteria: A Randomized, Double-Blind, Controlled Clinical Trial. The Lancet 366: 463-71, 2005. Aaron SD, Vandemheen K, Hebert P, Dales R, Stiell I, Ahuja J, Dickinson G, Brison R, Rowe B, Dreyer J, Yetisir E, Cass D, Wells G. Outpatient oral prednisone after emergency treatment of chronic obstructive pulmonary disease. The New England Journal of Medicine 348, 2618-25, 2003.